Since 2009, Texas manufacturers have reported at least 19 other unauthorized releases of methyl mercaptan, the lethal chemical that killed four at a Port Arthur DuPont plant, according to a Tribune analysis of state data. A Saturday morning tragedy introduced Texans to an invisible killer. Methyl mercaptan, a foul-smelling gas, overwhelmed five workers at the DuPont chemical plant in La Porte on Nov. 15, killing four – including two brothers – and sending another to the hospital. Such rapid deaths from toxic chemical exposure are rare, experts say. But dozens of times in the past two years, a Texas Tribune analysis shows, plants across Texas have reported accidentally releasing gases that can be deadly in relatively small amounts. Thousands – and even millions – of pounds of toxic chemicals beyond what permits allow have spewed from facilities. While companies considered many of those events “close calls” that prompted evacuations at worst, some triggered deadly explosions that, in turn, caused even more gas to be released. The Tribune analyzed an Texas Commission on Environmental Quality inventory of chemical releases higher than what the law allows. The data relies on industry reporting. Since 2009, Texas chemical manufacturers have reported at least 19 other unauthorized releases of methyl mercaptan, the analysis found. Methyl mercaptan can cause nausea, vomiting and fluid buildup in the lungs. Its rotten-egg smell wafted over La Porte for at least 24 hours, but county health experts said the leak posed little risk to the community because even trace amounts carry the smell. DuPont’s was the only methyl mercaptan release that killed or injured workers in the past five years, according to state and federal data. The gas, however, is among hundreds of dangerous chemicals plants spew across Texas. "There are a lot of compounds where you wouldn't necessarily have four or five people die, but that doesn't mean that those releases aren't harmful," said Elena Craft, a health scientist who specializes in air pollution at the Environmental Defense Fund, an advocacy group. "We need to limit these massive amounts of release. I mean, they're highly toxic compounds." Industry officials say Texas plants have grown safer in recent decades as companies pour millions of dollars into training and protective gear. They say the toxic releases need context. After all, Texas is huge – and so are its chemical manufacturers. 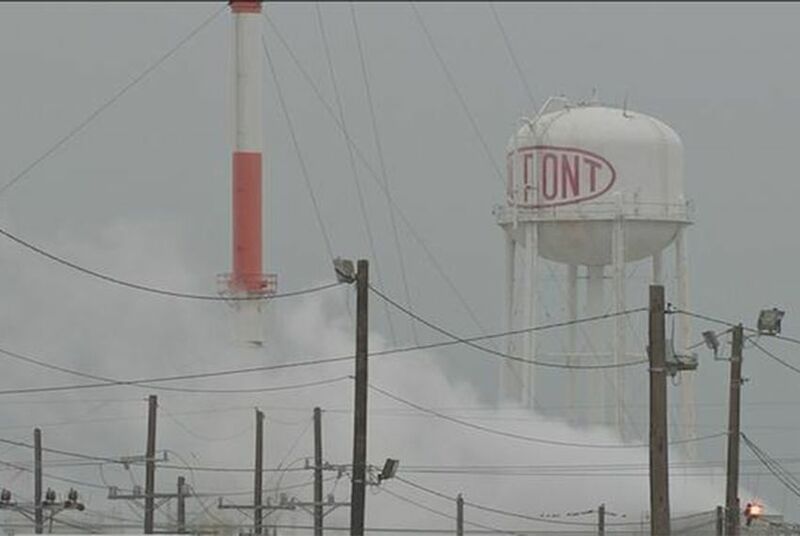 “Our industry takes every process safety incident very seriously,” Hector Rivero, president and CEO of the Texas Chemical Council, said in a page-long statement that offered “deepest sympathies,” to those affected by the DuPont leak. He also said the industry’s record is improving on several safety measures, but did not provide a source for the data. Alex Cuclis, a researcher in Houston who used to work for Shell, agreed. "I think most petrochem workers, myself included, felt that we were much more likely to be killed in an accident driving to work than from a plant explosion," Cuclis said. "I think the stats support that pretty well." Still, critics worry safety culture at plants can shrivel after just a few months of smooth operations and “near misses.” The results, they say, can mirror what happened at DuPont. Texas’ hands-off regulatory philosophy doesn’t help, Morse and others say. In the past two years, several industrial plants reported dozens of unauthorized releases of hydrogen cyanide, a chemical that interferes with organs’ oxygen use and is deadly in high concentrations. And in at least 10 instances, plants released 65 pounds or more of the gas. That was enough to send six workers to the hospital after an industrial plant leak on Texas' Gulf Coast last February. In that case, Alvin-based Ascend Performance Materials, a producer of carpet and textile fibers, reported a venting issue that released 65 pounds of hydrogen cyanide. That prompted a “shelter in place order,” and the hospitalizations, according to a federal incident report. The Occupational Safety and Health Administration fined Ascend $37,000, which the company is appealing. Not all information on TCEQ enforcement is readily available, but agency records show that Ascend paid the agency a $6,120 for leaking 178 pounds of hydrogen cyanide in 2011 — three years before six workers were hospitalized. The company told regulators it had replaced some electrical equipment and started a maintenance inspection program. In 2012, Invista, an Orange County fiber producer, released at least 14 pounds of hydrogen cyanide from a leaky valve. That prompted an evacuation and sent one person to the hospital, federal reports show. About a year later, workers fled the plant after another such leak. A few months after that, regulators fined the company $5,251 for the 2012 incident and asked for an additional $5,000 that would go toward a state energy efficiency program. When it comes to leaks of toxic chemicals like volatile organic compounds — which can cause cancer due to long-term exposure or cause dizziness, throat and eye irritation, or other impacts upon short-term exposure — hospitalizations are less likely. But they have happened in at least a few instances, federal data show. In May, loose bolts on a gasoline pump suction strainer at a BASF chemical manufacturing plant in Port Arthur released a number of different volatile organic compounds, or toxic chemicals that also contribute to ozone pollution, the company reported. A federal incident report shows that one person went to the hospital. Acute short-term exposure to one of the compounds, toluene, can affect the central nervous system. The plant also released benzene, a known carcinogen and occupational hazard. Those weren’t the first such releases at the plant. In the two years prior to that incident, BASF reported unauthorized emissions of benzene and other volatile organic compounds at least five other times. That included one release of more than 1,500 pounds of benzene in August 2013 after pressure gauges rupture and caused a leak. It appears that the TCEQ fined the company for such emissions around that time, but specific records were not immediately available. In one of the larger events reported in recent years, Shell Oil's Deer Park refinery released close to 40,000 pounds of benzene in January 2013. Along with other volatile organic compounds, the substance vented out of an improperly operated valve for 15 days before a plant worker noticed. It paid the TCEQ $200,000 for that and other related emissions violations, along with contributing money to a Houston-area air-monitoring project. Repeated events like that one impact public health, Craft said. For their part, Texas regulators say they swiftly respond to chemical leaks – within their power. “In emergency response events, TCEQ’s role is to rapidly provide personnel, expertise, and equipment, as necessary, to assess the extent of public exposure to hazardous materials, such as monitoring offsite air quality,” Terry Clawson, a TCEQ spokesman, said in an email. Clawson added that this past year, the agency found that 98 percent of all facilities that emit air pollutants that it inspected were in compliance. Correction: This story initially included incorrect information on penalties for environmental violations in Texas. The correct maximum penalty per violation per day is $25,000.